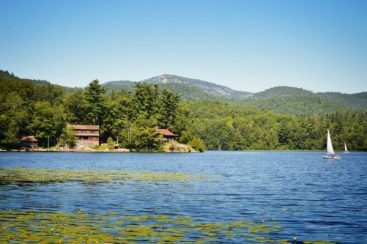 The surreal surroundings of the Adirondack mountains serve as the backdrop for our amazing summer camp experience dating back to 1905. 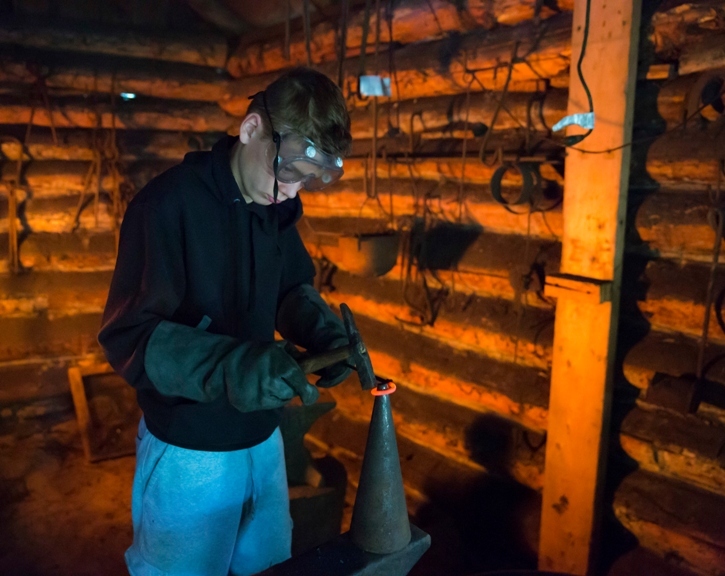 Rich in tradition a summer at Pok-O allows for campers to explore all that our location has to offer, while participating in new experiences, learning new skills and making new friends. Our philosophy is to help each camper develop an awareness of and appreciation for the natural environment. These opportunities are presented in a safe and supportive environment that fosters self-confidence, leadership and sportsmanship. With over 35 activities including: Wilderness trips, horseback riding, rock climbing, mountain biking, sailing, and theater to name a few, we are able to create a place for campers to grow and experience more than they ever could at home. 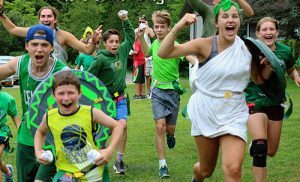 Being technology free enables our campers to live in the moment and appreciate all elements of camp life, from the chorus of screen doors slamming in our rustic cabins, to gathering around our cobblestone fireplace of the dining hall. Come explore our wonderful camping experience and learn what it means to have the “Pok-O” spirit. 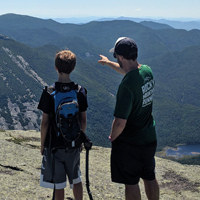 For over one hundred years, Pok-O-MacCready Camps has established itself as the leader in wilderness trip programming in the Adirondack Mountains. At Pok-O-MacCready, we emphasize teamwork, fair play, and participation. This philosophy guarantees a positive attitude towards physical fitness. Enjoy our specialized one-of-a-kind theater program that allows campers to explore the inner workings of drama and opens up imagination and creativity. Explore our program where campers learn horseback riding and proper equestrian care in our serene setting with over 20 horses, 2 barns, and 2 riding rings. The Pok-O-MacCready summer camp complex is located on over 400 acres of waterfront property, with the girls camp and the boys camp being separated by just a 5 minute walk “down the path”. This allows all campers to utilize the variety of facilities Pok-O-MacCready offers, including our beautiful dining room, Robinson Hall, and over 50 camper cabins. Even though girls and boys have different sleeping quarters and tend to eat at separate meal times, our campers enjoy co-ed classes, activities, and all-camp events. This is the perfect combination and really gives our campers the best of both worlds! 7:00 am – Morning wake-up bell. Campers clean cabins. 7:30 am – Horsemasters return to cabin and prepare for cabin inspection. Counselors will always spend some time in their cabin following lights out, reading a story, singing a song, or in quiet discussion with the campers. For the first two weeks of the 4-Week session, we run a two week “Rookie Camp” for first-time campers between the ages of 6 to 10 years old. We feel this short session is a good bite-sized introduction to summer camp, and also allows campers the flexibility to stay on for the remainder of the 4-week session if they get bitten by the “summer camp bug” and want to stay longer! Pok-O-MacCready is very proud of its affiliation with the Adirondack Scholarship Foundation, which awards approximately 18 need-based financial aid packages for each summer. To find out more, please contact the Foundation. 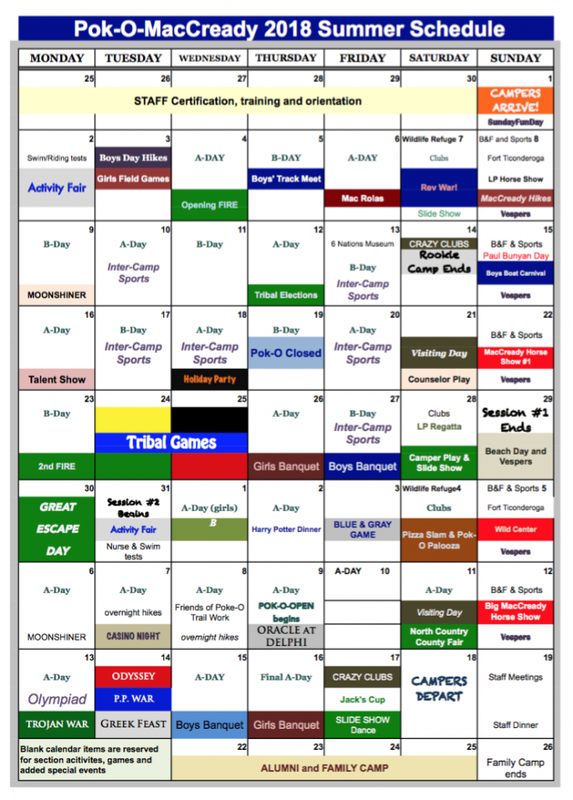 At Pok-O-MacCready, we make every effort to make camp as affordable as possible for our camp families. You will find that Pok-O-MacCready’s tuition rates are extremely competitive with comparable summer camps. We would like to see you become part of the Pok-O-MacCready family, and we don’t want finances to sway your decision. Give us a call if you have any questions and we’ll be happy to work out a flexible payment plan that works for you. The tuition rates do not include some extra costs. Among them are the price of a ‘Blue Boar’s Bank Account’ to cover the cost of items such as toiletries, extra batteries, toiletries, camp t-shirts and other merchandise, and out-of-camp trips (including equestrian activities, depending on the session and the camper’s level of involvement.) 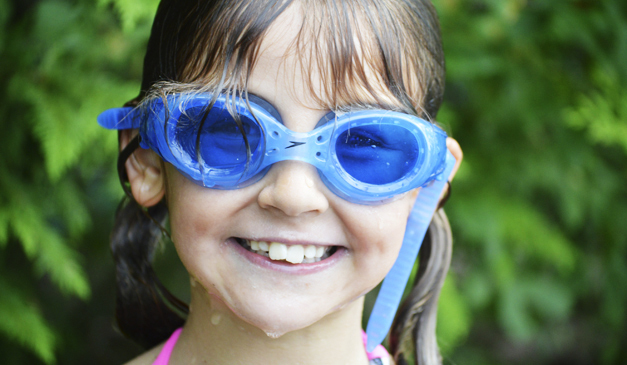 Normally, we suggest $100 – $150 per child for their camp account, but this may differ for your child depending on their activities and session they are attending. Please contact us if you have questions. 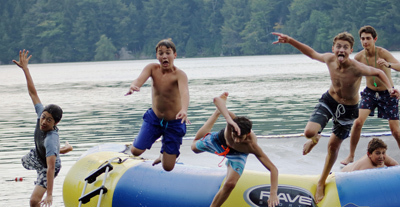 Jack’s energy and passion for camp is unrivaled. Having spent his entire life at Pok-O, Jack has naturally worked at camp in virtually every capacity. In the past, he also served as a teacher, lecturer and college recruiter. When not working at, or thinking about camp (which is rare), Jack, 46er #267, can be found with his nose buried in a history book. He lives in Willsboro, just across from the 1812 Homestead, another of his major projects. Tom has been at camp since he was an infant and has been a camper, counselor and administrator. He is an active particpant in the business, serving the staff in developing program and fiscal plans..
Tom’s two children, current campers, represent the sixth generation at Pok-O-MacCready; his great-great grandfather, Charles Robinson, founded the camp in 1904. 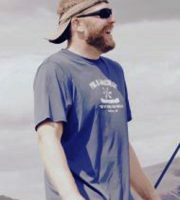 Sharp served as the Executive Director of Pok-O-MacCready Camps from 2002 – 2012, after having held almost every other position at our summer camp. 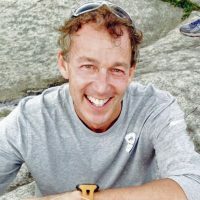 Sharp is unrivaled in his knowledge of both the Adirondacks and Civil War battles and lends much of his time in constructing and renovating camp facilities with his other business, Cloudsplitter Carpentry. He lives in Essex, NY during the off-season, and the scenic Point House on Long Pond during the summer. He is 46er number 566W. After spending her first 16 years growing up at a “boys only” camp, Margaret was delighted when Pok-O-MacCready became co-ed in 1967. Thereafter, she worked at summer camp and later, at the 1812 Homestead. From 1999 to 2004, Margaret headed up the camp office and finances. Her three sons and one daughter have attended and worked for camp. 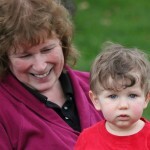 Very soon, her grandchildren will become part of the summer camp tradition, too! While not active in the year-round operations of Pok-O-MacCready Camps, David continues to consult in an advisory capacity. After spending his childhood as a camper, David served as a counselor, section head and helped to design our three-week and day camper programs. He lives with his wife Angela in Chazy, NY, where he operates a maple sugar business. David’s children have been campers and his son is currently on summer staff. David is 46er #1959. 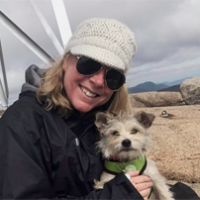 Another “behind the scenes” staff member, Lauren works with the American Camping Association and the New York State Department of Health to see that we meet all of the necessary standards of health and safety for our campers, staff and facilities. 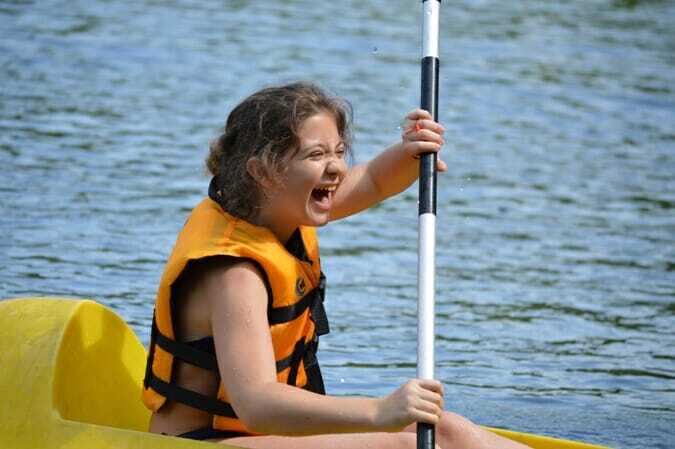 Lauren is a former camper, counselor and section head. Lauren currently serves as the Assistant District Attorney for Ulster County, NY. 2019 will mark the first summer as girl’s camp director for Jen, but she comes wholly prepared. prior to serving as assistant director to Camp MacCready, Jen also served in the capacity of camper, counselor, section head, and outdoor education instructor. The first camp female to finish her Adirondack 46ers entirely as a camper, Jen’s lifelong commitment to camp includes her marriage to husband Sean, whom she met at camp! 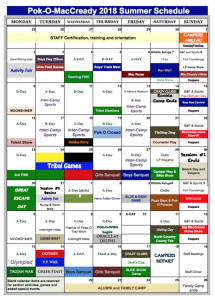 2019 will be Josh’s 20th consecutive summer at Pok-O-MacCready. He started as a counselor in Poko’s Senior Section and spent 2001-2007 as the Senior Section Head. In 2008 Josh became the Headmaster of Pok-O-Moonshine and has had the job ever since. 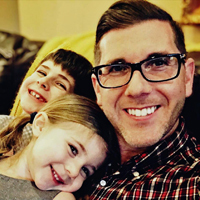 In the offseason, Josh is a high school special education teacher and volleyball coach Middleburgh NY. His favorite places at camp are the Bullpen, Rusty’s porch, the rock outside the dining hall, any campfire, and of course the volleyball courts! Having spent 50 years at camp, Skip embodies the true definition of “Pok-O Spirit”. Having been camper, counselor, section head, assist headmaster, program director, and currently our photographer and Alumni director, Tim’s camp experience is second to none. When not eating and breathing camp, he enjoys time with his wife Augusta and time in both Adirondacks and Green mountains of Vermont. Ken first arrived at camp as a wild and energetic nine year-old in 1969. He was promptly given the nickname “Squeaky” and neither the name nor the description has changed in the nearly 50 years he has been affiliated with camp. Squeak was the Section Head of Pioneer and Intermediate from 1981-2001, and also Asst. Headmaster. In 2018 he will be at camp doing what he does best: focusing on the details of everything. He teaches conditioning, fishing, and Frisbee. During the year, He teaches in Alburgh, VT. 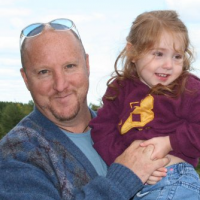 He and wife Marianne live in Chazy, NY along with their two daughters, Willow and Melanie. Squeaky is 46er #1334. Stephanie first came to Poko as a 9 year old in the Junior Lodge. She attended for 6 wonderful summers, enjoying the barn and horses, Tribal Days, as well as her summer friends, the most. She worked as a counselor and section head in her twenties and eventually returned to camp 5 years ago after having children, when both children were enrolled at Poko. She is a math and science teacher during the school year but looks forward to her return to Poko during the summers every day (as do her children, of course). Even when she’s not director of the waterfront, she looks forward to finding a few moments to sneak down to the swim docks. 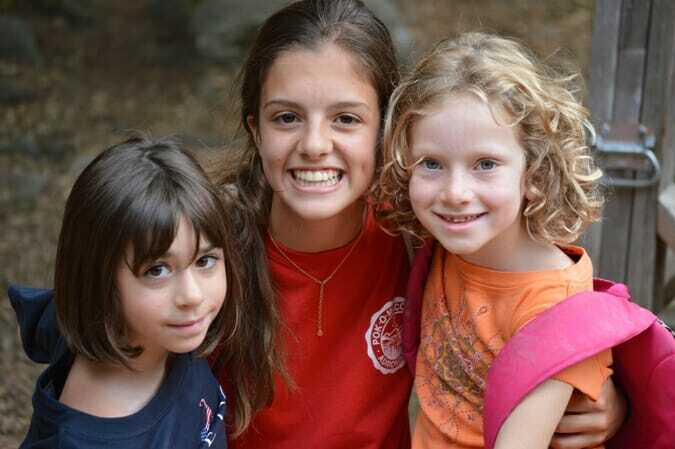 Her best friends remain her camp friends, who she is fortunate to see year round. A successful summer camp experience starts with a well trained and enthusiastic staff. 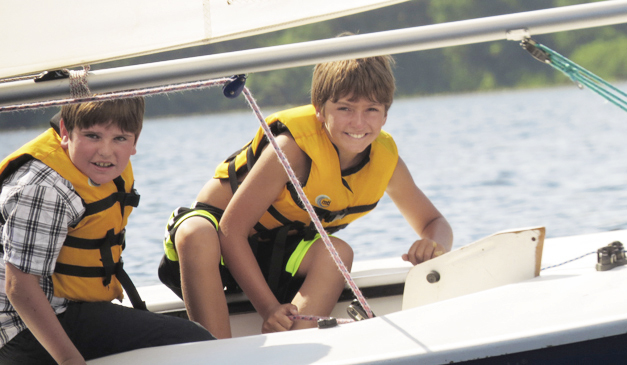 Pok-O-MacCready Camps prides itself on our administration and counselors, with an industry high return rate. 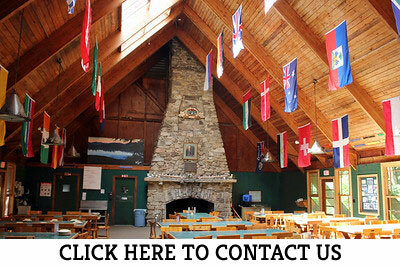 Most of our staff are former campers and thus contributes to the “family” feeling at Pok-O. The continued success of our camp is due to the vital role our staff play and directly contributes to creating a safe, nurturing environment for our campers which in turn enables them to develop their highest potential.